Kevin Bilder accepts award on behalf of Rio Salado. 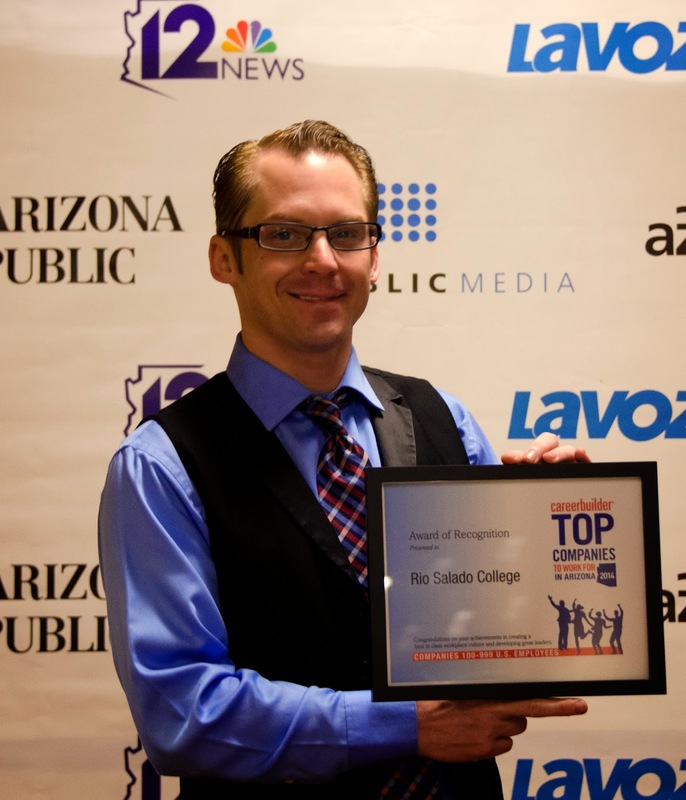 Rio Salado College earned a spot in the 2014 CareerBuilder Top Companies to Work for in Arizona list. Employers were evaluated and selected based on a combination of overall satisfaction scores from an employee engagement survey and evaluation from an employer questionnaire covering topics related to HR programs, benefits and workplace culture. 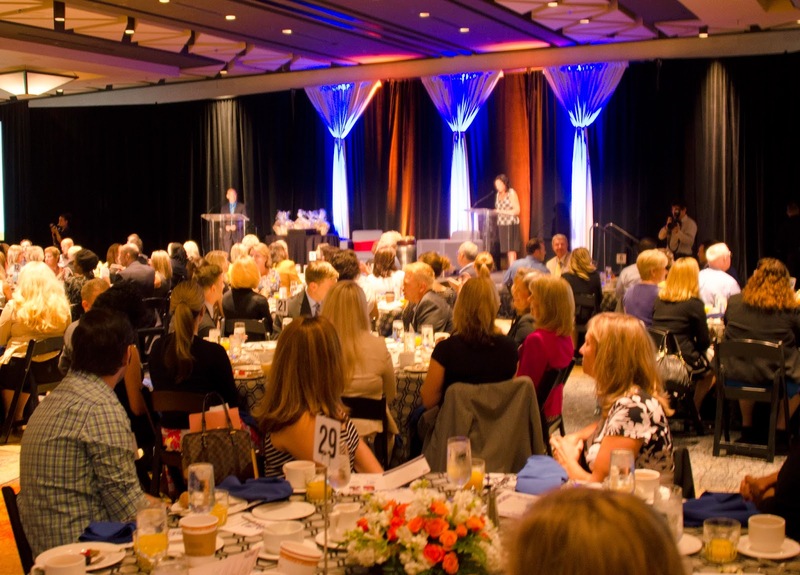 CareerBuilder and Republic Media made the announcement during a breakfast reception on Friday, June 27 at the Hyatt Regency Phoenix. A complete list of the 75 Top Companies and related stories can be found at TopCompanies.azcentral.com.